Inside the EAA 96 hangar at the Compton Airport. The meeting ran very late as you can see by the clock. 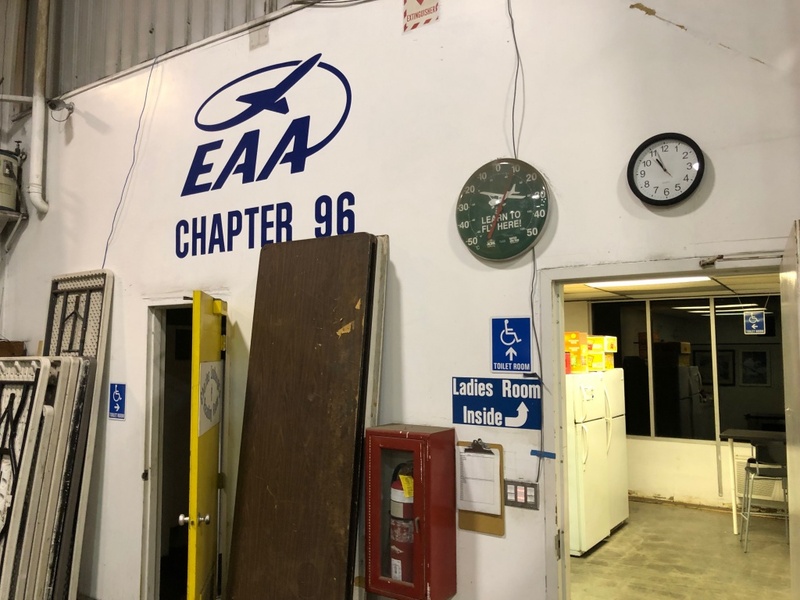 The RRS met for our February monthly meeting at the EAA 96 hangar at the Compton Airport on Friday night, February 8, at 730pm. The Experimental Aircraft Association (EAA), Local Chapter 96, was gracious enough to offer their main office boardroom. RRS members, Xavier Marshall and Wilbur Owens were kind enough to even provide food and drinks for our membership and guests. After reading of last month’s treasury report, we agreed to get an update next week as our president (doing the duties of the treasurer) was not able to attend this meeting. After the customary introductions of some of our visiting guests, we began the agenda. The 2019 symposium will take place on Saturday, April 27, 2019. We have confirmed 8 of our 13 speaker slots and are working on building the panel discussion that will happen at the end of the symposium. We will likely soon fill all of our 13 speaker slots for the fourteen 30-minute sessions throughout the day. We have already confirmed several of our past speakers such as Northrop-Grumman and some new presenters such as the Air Force Space and Missile Command. Frank said that the most important thing that all of our membership and friends can do is to spread the word and circulate our flyers as soon and as much as possible. Having an on-site food provider is in the works and John Mariano has offered to provide his brand, Celebrity Coffee, at the symposium. Based on the rate of (free) ticket sales through Eventbrite, we are on track to have a great symposium. We have 13 exhibitors confirmed and hope to have well over 21 exhibitors (last year’s total) by the time the symposium arrives. We are trying to pace events throughout the day to have a steady stream of participation from morning to afternoon. Frank will soon be holding regular meetings to get as much of our membership involved with the myriad of tasks necessary to make the event fruitful and exciting. We ask all of our membership to do as much as they can. Ideas are always welcome, but people that can take action are appreciated even more. The RRS will not hold another symposium until 2021, so we would like to put as much of ourselves into this event as we can. Our symposium chairman is Frank Miuccio, please contact him or any of the Executive Council at any time. In the months leading up to the 2019 RRS symposium, the RRS should look at improving our social media presence. One of the things we will do is post different advertising flyer designs on our Instagram and Facebook accounts. Alastair and Bill have had fruitful discussions on this subject and would like to have recurring monthly spot on the meeting agenda as the RRS social media presence will always remain important in our bid to reach new and old members. The RRS is an organization that has persisted for a very long time, but periodically, the way we operate has changed over the decades. The last time a review of the RRS Constitution was done was in the 1990’s. Although some amendments have occurred to update our organization, it has been observed that many improvements, clarifications or simple corrections need to be made to reflect how we operate today. This 2020 committee will first gather up all known copies and amendments to the RRS constitution. It is important to best establish where we stand before proceeding with the editing process. Frank has much of these records and with this collection of information, the committee will create a new draft of the Constitution. The intent is not to make many (if any) changes so much as to make clarifications of roles and responsibilities in areas that have been vague or entirely absent. After a great deal of effort, the RRS has updated our membership roster as best as we have been able to do so. We continuously call upon our past and present membership to pay their dues and remain active during this important time. Please contact the RRS treasurer, Chris Lujan, or make your payment to the RRS president, Osvaldo Tarditti. With the 2019 Symposium around the corner, our priority is to execute the April 27 symposium. Therefore, the 2020 committee will not have to report back to the RRS until our September 13, 2019, meeting. Having the whole of the summer of 2019 should allow the committee to perform the laborious duty of researching and retyping the Constitution in such as manner that makes it clearer. The new draft or 2020 Constitution will then be reviewed numbered paragraph by numbered paragraph to assure a thorough review to approve portions that make sense and discuss others that may require adjustment. Concerns were expressed about maintaining the requirements of our 501(c)3 educational non-profit organization when it was formed. These are important concerns which will be addressed. The committee will likely need to seek advice from our membership and they certainly will reach out as necessary throughout their working period this year. This 2020 committee will then present their draft at the September meeting taking specific feedback and returning their final draft at the November 8 meeting. The new “2020” Constitution will then be put to a vote by our active membership. By our articles, this must be approved by a 2/3rd’s majority which may take some time to do. As any changes will largely serve for clarification, this draft of the Constitution, paragraph by paragraph should be able to be approved by the vote taken across our active membership with a deadline of the end of the year, December 31, 2019. Once the 2020 update to the RRS Constitution is approved, all prior drafts will be voided and the committee dissolved. Further, to avoid a permanent state of churn, it was agreed that after approval of the 2020 Constitution, no further amendments will be made for at least one year to allow the society to operate long enough to see where the problems are. A Constitution is a living document, but changes are purposefully not easy to make without a significant consensus of our active membership. Alastair Martin has started a pod-cast called “Rocket Talk Radio” which is an hourly program that will talk about selected topics in the rocket business. These topics will be very relevant to the increasingly active world of space exploration. 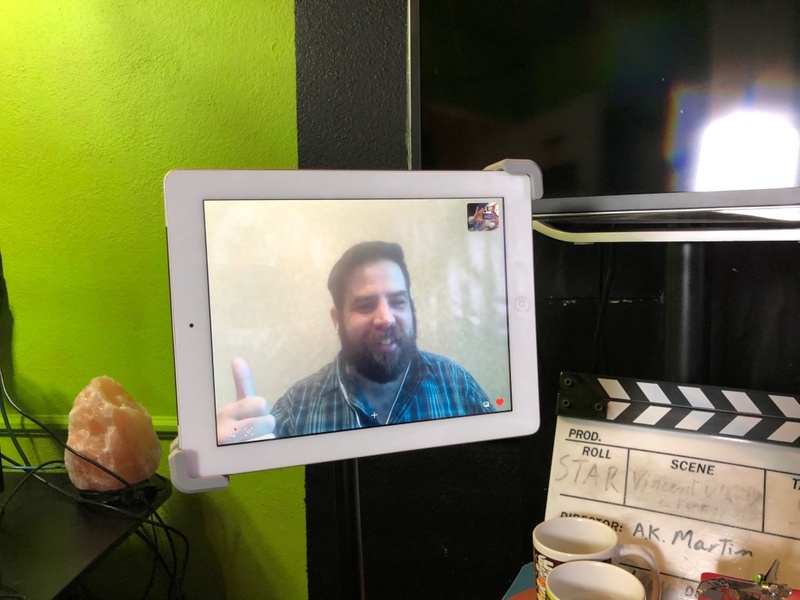 Alastair’s company, Production Tribe LLC, is producing the show to which RRS members, Dave Nordling and Richard Garcia, have agreed to be regular guests on the show. At the first show, we had Waldo Stakes as our first guest. As the show continues, Alastair will have other guests on the show to explore the many number of exciting topics happening today and in the near tomorrow. Alastair Martin’s company, Production Tribe LLC, will be producing more shows soon and we hope to provide links on our website, RRS.ORG, from time to time. For those seeking ROCKET TALK RADIO, please go to Alastair’s website WATCHHOLLYWOOD.TV at the link below. The next program is expected to be next week where ROCKET TALK RADIO will discuss the growing market of small launchers. Cameron Harrington is both a student at California Polytechnic State University in Pomona and a sponsored competitive paintball sportsman. 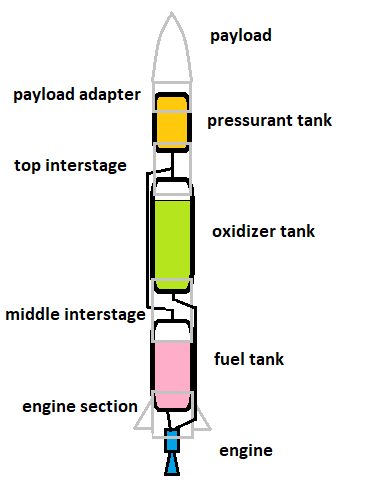 After having some very interesting discussions about these commercially available, robust and mass-produced high pressure tanks and regulators, it is clear that they can be useful in building a simple pressure-fed liquid rocket. Ninja is one popular brand of these tanks and regulators used in paintball guns. The 4500 psi composite-overwrapped pressure vessels hold a finite volume (e.g. 77 cubic inches) of compressed nitrogen gas better suited for pressurizing fuel tanks. 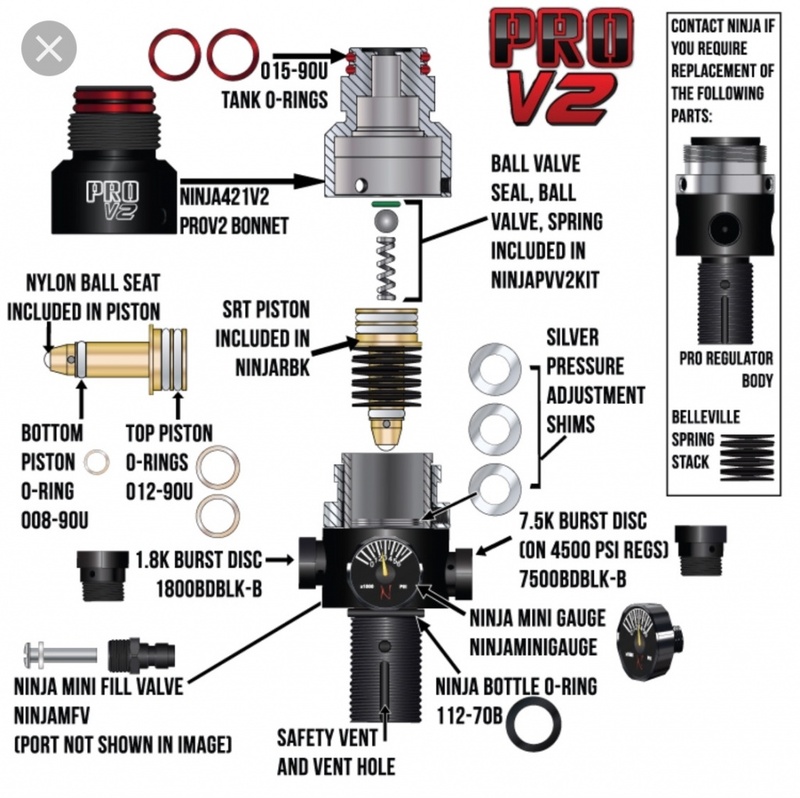 The Ninja Pro V2 regulator is adjustable by internal shims to allow a finite range of discharge pressures (350, 450, 550 psi etc) which work in small liquid rocket engines. Cameron gave the society a brief overview of his experience with this hobby sport equipment and his experience in building a liquid rocket system. The society is considering buying a few of these devices for liquid rocket prototypes that will ultimately lead to a standardized design that the society can use and offer to other universities seeking a common-sense plan to flying a liquid rocket. 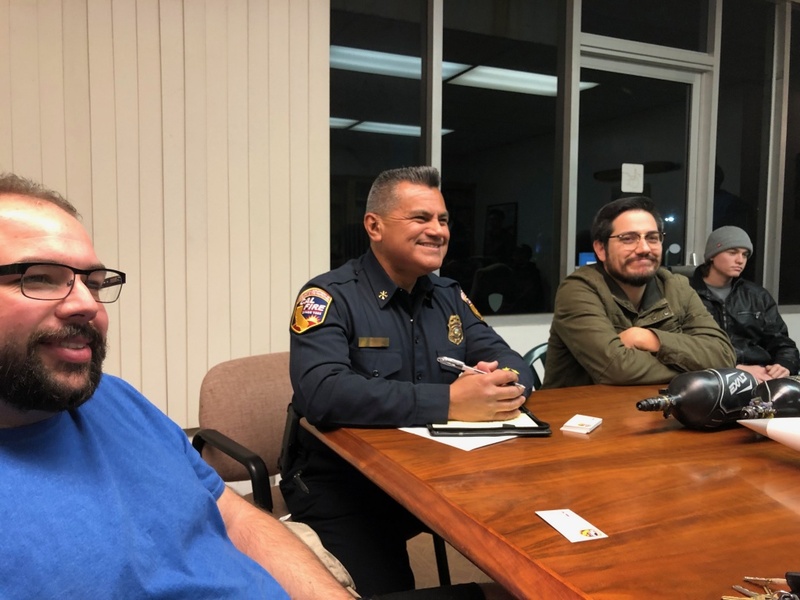 The RRS was happy to be visited by Ramiro Rodriguez, Deputy State Fire Marshall with the California State Fire Marshal’s office (CAL FIRE). Deputy Rodriguez has been with CAL FIRE for over 19 years and largely supports Fireworks and the Motion Picture industry. He is glad to visit with amateur rocketry groups to see what our concerns and needs are. CAL FIRE has been busy streamlining and examining their processes to better serve the public and groups such as ours who benefit from CAL FIRE.. Amateur rocketry, much like with hobby rocketry, is governed by the state laws and regulations concerning fireworks. The four primary duties of CAL FIRE are prevention, engineering, education and enforcement. They train fire departments and fire service professionals. They also are responsible for resource management in the state of California such as forestry and watershed projects. They are the licensing authority for all 12 classes of pyrotechnic operators including the 3 classes of rocketry pyro-op’s. Ramiro answered questions by our membership and attendees. Pyro-op’s must be 21 years old, have a clean criminal record and must submit an application to the state with five letters of recommendation from active pyro-op’s at or above the class level that they are applying. CAL FIRE is willing to accept expired pyro-op licenses as long as that license hasn’t lapsed more than a year. This is a common problem in many groups that pyro-ops allow their licenses to lapse out of financial necessity or simple neglect. 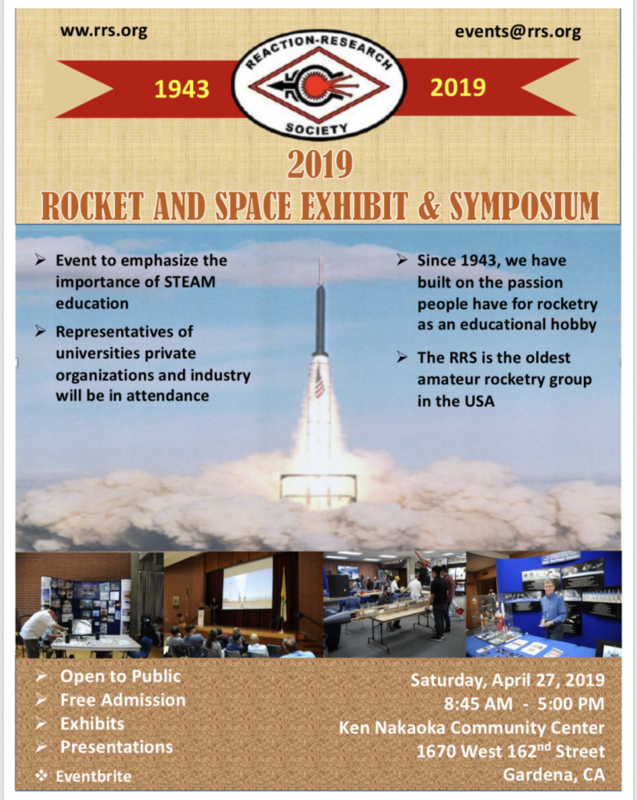 The RRS is very active in our goals to acquire and advance more pyro-ops not only for our society, but for the amateur rocketry community at large. Ramiro read some statistics from CAL FIRE’s database, that there are only 10 active first-class rocketry pyro-ops in the entire state of California. Only 10 active second-class rocketry pyro-ops and 34 active third-class pyro-ops remain throughout the large expanse of the Golden State. Concern has been raised by the amateur rocketry community about the difficulty in acquiring five active and relevant signatories when pyro-op’s want to advance their level. CAL FIRE is considering ways of making this process easier to do as they would like to see an increase in the number of rocketry pyro-ops in the state of California. The obvious solution is to require a lesser number of signatories for applicants, but CAL FIRE has not made a decision on exactly what they intend to do. Concern was also expressed regarding the necessity of the two-year waiting period between achieving rocketry classes. Some applicants have a large amount of experience either professionally or in activities with their society. Ramiro had said that CAL FIRE does have some discretionary authority to recognize significant experience in proving an applicant suitable to advance to the next level, but he underscored the importance of log sheets and the responsibility of all pyro-ops and trainees to take accurate clear records of the work that they do. Put simply, the more familiar CAL FIRE is with your activities, the easier it becomes for them to evaluate you. 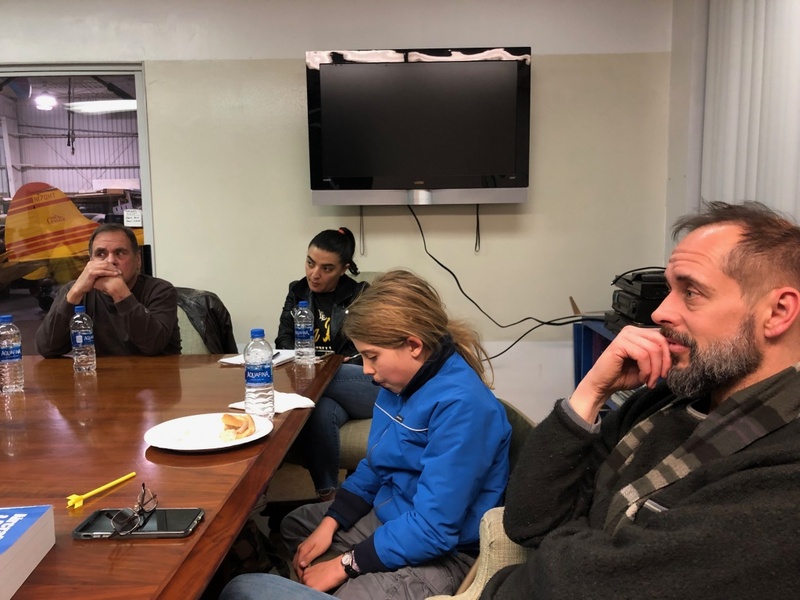 This is a rich subject which many more had other questions, but given the late hour, we concluded by appreciating Ramiro’s time and was happy to make his acquaintance. The RRS and CAL FIRE have had a long, positive relationship and hope to continue to do so. The RRS has extended an invitation to Ramiro or another deputy from CAL FIRE to come visit our private testing site when we will hold another event on April 6th with the student of Crenshaw Elementary with the LAPD CSP. We also gave CAL FIRE an electronic file of our 2019 RRS Symposium flyer and have invited CAL FIRE to be a presenter and/or exhibitor at the Symposium. 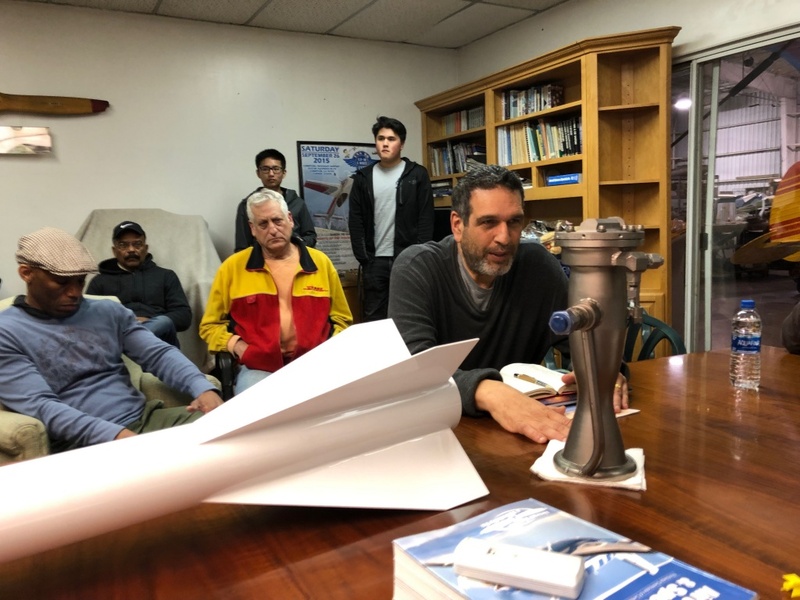 The RRS was happy to have our February 2019 meeting hosted by the Experimental Aircraft Association (EAA) Chapter 96 at the Compton Airport. Xavier Marshall is both an RRS member and the vice president of the EAA 96. The EAA 96 is encouraging hobbyists such as those in the RRS to become members as we have many areas of common interest. 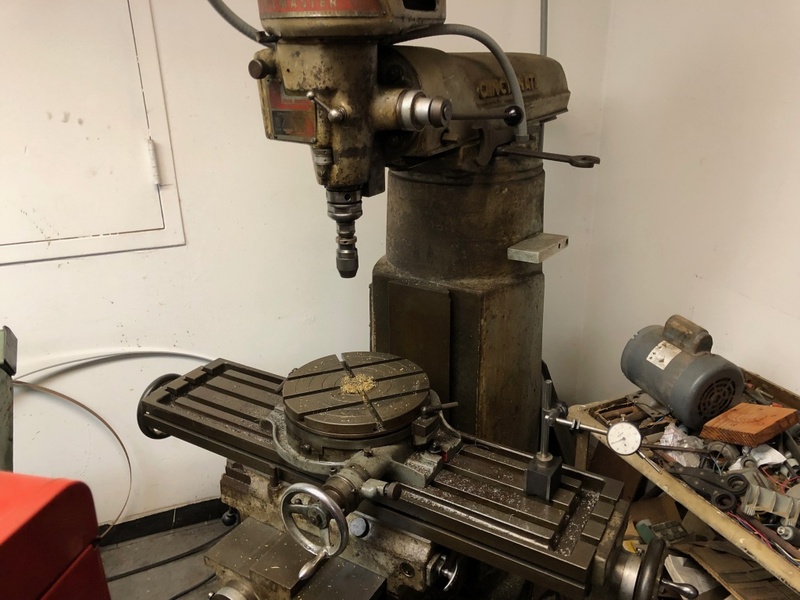 Aircraft and rockets require hands-on machining skills which the EAA 96 is willing to share with new members. To become a member of the EAA 96, you must join both the national and local chapter. Right now (but discount offer soon to expire) they are offering 3-years of membership for only $99 which covers both the local and national membership. 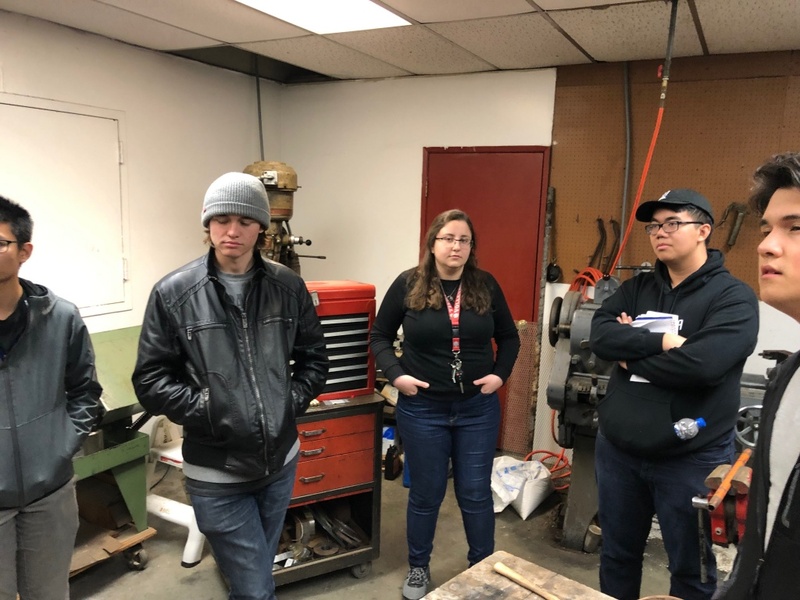 Xavier gave the RRS and visiting students from Cal Poly Pomona a tour of their machine shop which has a large lathe, a horizontal and vertical mill. 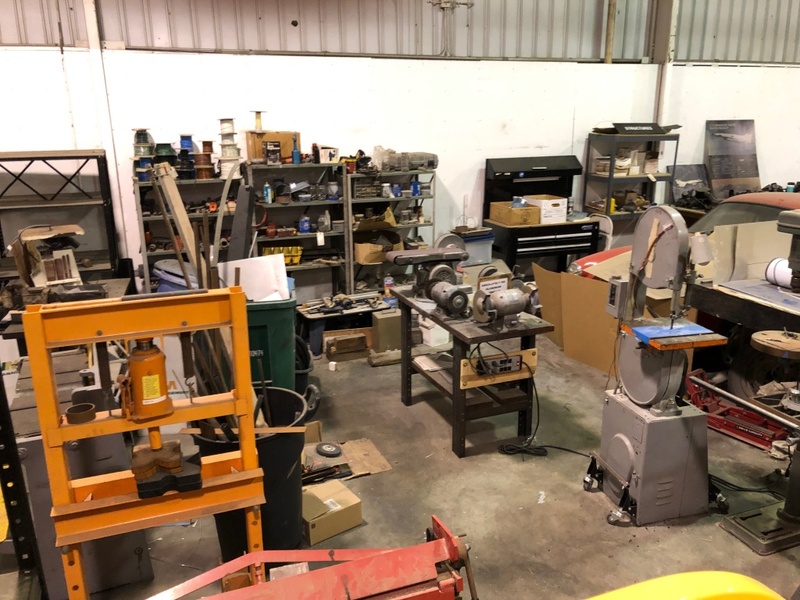 The hangar is accessible to members 24/7 and the EAA has many members happy to help those needing to learn practical machining skills. This is a great opportunity for many of the RRS who do not have regular access to machining. The RRS is largely about making our own custom parts and the EAA 96 is an excellent resource to help. Given the late hour, we were unable to take our society membership and visitors on a tour of the Rocket Lab at Tomorrow’s Aeronautical Museum. Waldo Stakes has been very active in this project to bring a small group of Compton locals to build a small liquid rocket of their own. On display at the meeting was a Rocketdyne NA-LR-101 liquid vernier rocket motor that they hope to static fire at the RRS MTA. This 1000-lbf kerosene/liquid oxygen rocket has been commonly used in past amateur rocketry projects due to its robust design, however, as these surplus motors are becoming more scarce, it is important to appreciate having such an asset for learning. The RRS is happy to help the Compton group with their goals in flying this motor in a future design. It was suggested that the RRS hold their March 8th meeting at Tomorrow’s Aeronautical Museum at the Rocket Lab. Although this is a fine suggestion, the RRS had planned to return to our regular location at the Ken Nakaoka Community Center in Gardena. That being said, the RRS would like to schedule an event at the Rocket Lab very soon. The RRS will let our membership know when this visit to the Rocket Lab can be scheduled. As was mentioned a little earlier, the RRS has set a new class with the students of Crenshaw Elementary School through the LAPD CSP. 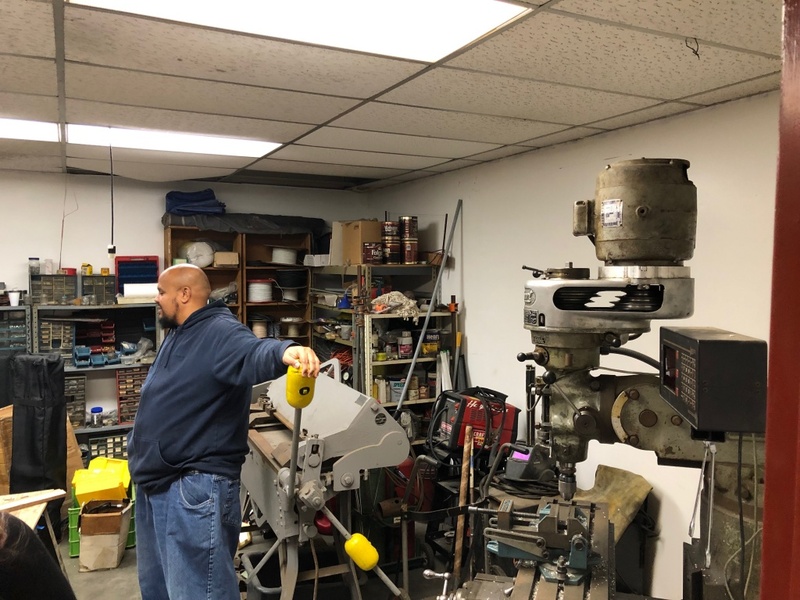 The first class will start on Friday, March 1, and run each Friday until the launch event we will hold at the RRS Mojave Test Area (MTA) on April 6th. The RRS classes continue to be very popular and we are glad to share our hobby and passion for rocketry and learning. RRS member, Michael Lunny, has been working with his local high school, Redondo Union, were they intend to enter rocketry competition to launch a rocket payload with 3 eggs and subsequently land it by parachute. We hope they can come visit the RRS at the next meeting on March 8th. Redondo has expressed interest in launching at the MTA in late March. For all groups interested in working with the RRS or with testing or launching from our Mojave Test Area, please download and fill out our Standard Record Form from the RRS.ORG website under “Membership” tab, then under “Forms”. All requests must be filled out with a complete set of contact information and a full description of the testing. The most important thing is to declare your test date and hold to this date as resources have to be scheduled. All requests must be submitted to the RRS president for the society to review. This entry was posted in Meeting Report and tagged 2019 symposium, 2020 Constitution, 2020 Constitutional Committee, Cal Fire, Cal Poly Pomona, EAA 96, LAPD CSP, liquid rocket, LR101, Ninja, nitrogen, paintball regulator, paintball tank, Production Tribe LLC, pyro-op, Rocket Talk Radio, RRS standard alpha, RRS standard liquid rocket, WatchHollywood.TV by Dave. Bookmark the permalink.